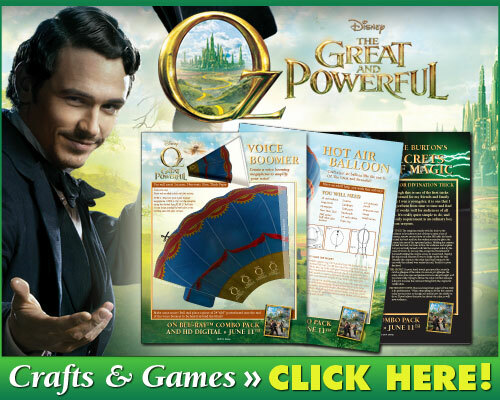 Click the picture above to print some fun activity sheets based on Disney’s Oz The Great and Powerful which is now available on BluRay and DVD. I love this movie! Have you seen it yet?